Our Designer’s Choice Drapery Panels program offers drapery panels in four pleats styles (French, Cinch, Goblet and Inverted Box Pleat) plus Simple Header (rod pocket) and Grommet Header. Panels are made to order in our own workrooms with special attention to custom quality and construction details. Panels are fully lined. Interlining is also available. 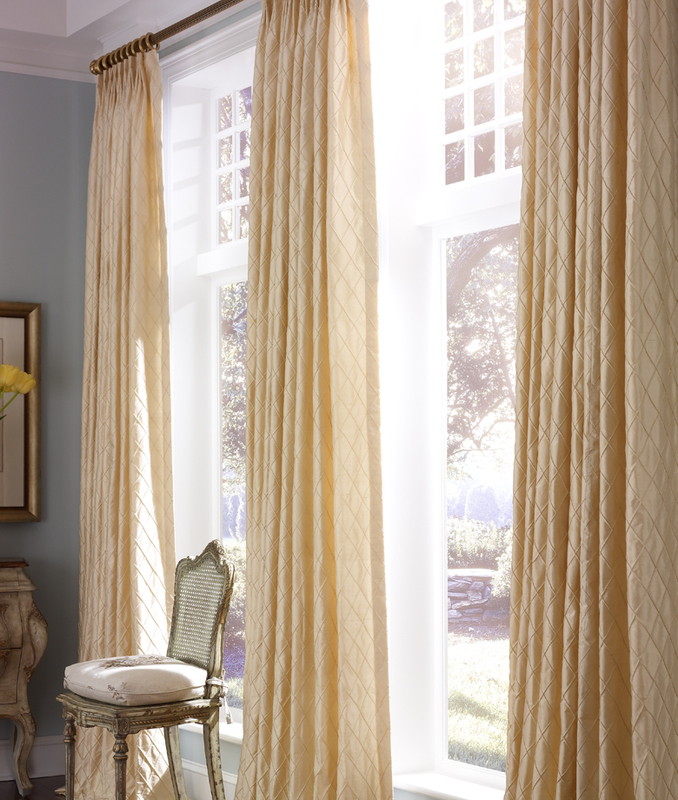 Choose from our extensive fabric library to compliment your design plan for any room of the home.